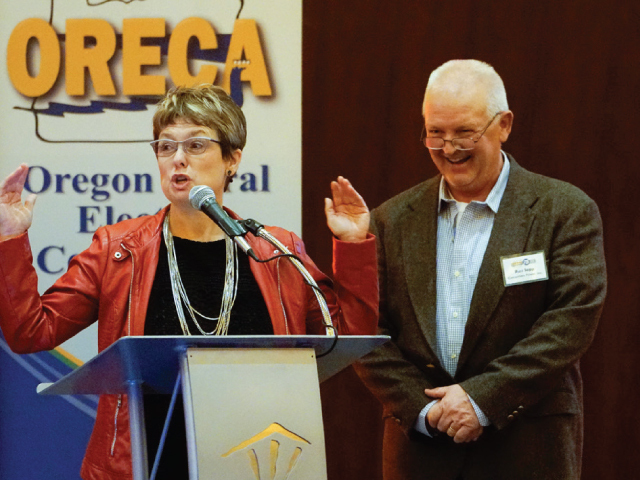 Oregon electric cooperative leaders gathered in Salem on November 30 to celebrate the Oregon Rural Electric Cooperative Association’s 75th anniversary and to honor leaders who are part of ORECA’s storied legacy. This year’s theme—Our Past, Our Future, Our People—set the tone for a variety of speakers that included Pulitzer Prize- winning historian David Kennedy and nationally recognized energy author Robert Bryce. Captain Dave Carey, a Vietnam War prisoner of war, gave an inspiring luncheon speech. 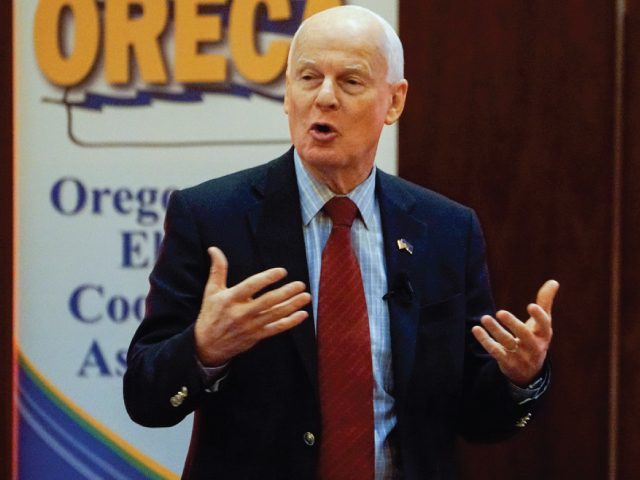 The centerpiece of the annual meeting was the celebration of leaders inside the cooperative program and in the Oregon Legislature. 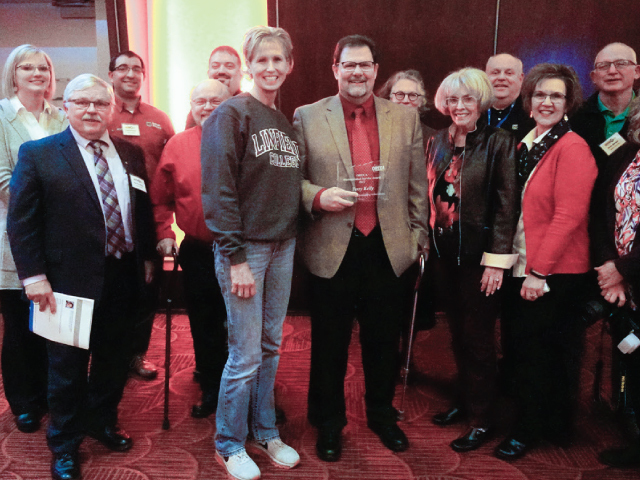 State Rep. Sherrie Sprenger was honored with ORECA’s coveted Cooperator of the Year Award. Sen. Ted Ferroli was presented with the ORECA Lifetime Achievement Award. During the afternoon, several cooperative leaders were recognized for their exemplary achievements. Consumer Power’s Jonathan Farmer and Central Electric’s Erika Henderson were recognized with the Rural Electrification Award for their work on the Electric Cooperative Youth Tour. Christine Stallard, formerly of Coos Curry Electric Cooperative, received the ORECA Grassroots Award. 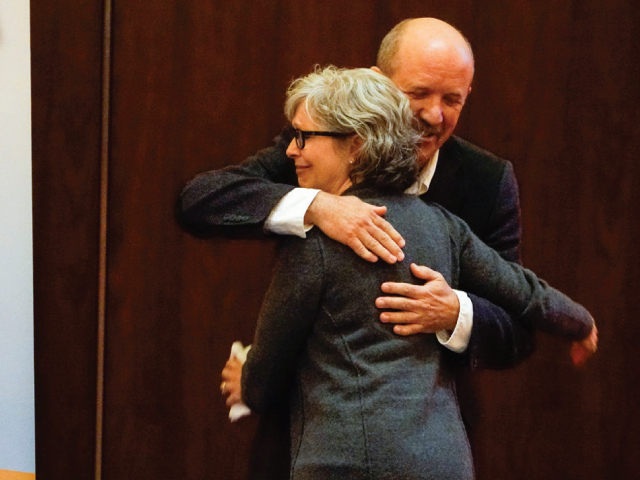 CEOs Roman Gillen and Dave Markham took home the Pioneer Award for political advocacy. Terry Kelly, manager of Salem Electric, was recognized with ORECA’s highest honor: the Distinguished Service Award. Upon receiving a standing ovation, Kelly gave full credit for his success to Salem Electric staff, board members and his wife, Peggy, all who flanked the stage. “I want to thank you for opportunity to work at Salem Electric for 34 years,” he said. Rep. Sherrie Sprenger receives the ORECA Cooperator of the Year Award from Consumers Power Director Russ Sapp. Christine Stallard, formerly of Coos-Curry Electric Cooperative, received the first-ever ORECA Grassroots Award. She is congratulated by Coos- Curry General Manager Roger Meader. 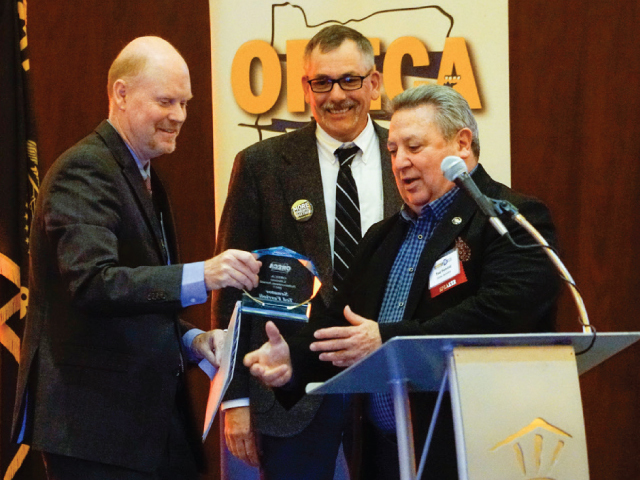 Sen. Ted Ferrioli receives the ORECA Lifetime Achievement Award from ORECA Executive Director Ted Case and Wasco Electric Director Ron Holmes. 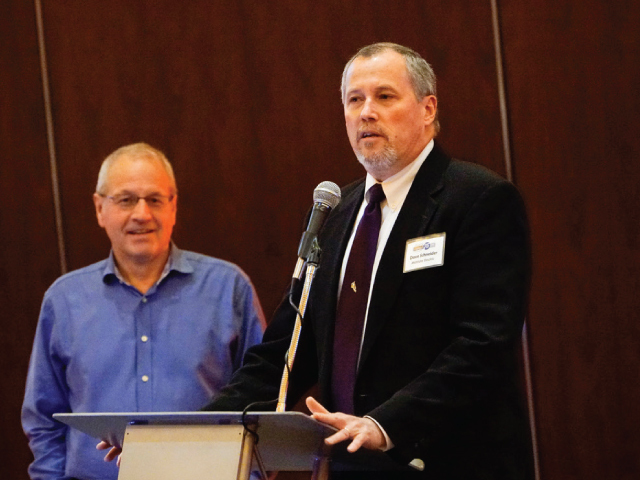 Midstate Electric CEO Dave Schneider was elected ORECA president, succeeding Lane Electric Director Chris Seubert. Salem Electric Manager Terry Kelly is joined by family, staff and board members at the ORECA annual meeting.